This past weekend I played Willbrook Plantation and the new greens look great! They are still a bit firm yet but rolled very true and are in perfect shape. The course was renovated this past summer and had the new Champion Bermuda greens put in. There were also several projects completed to enhance the aesthetics of the course and many others planned to take place over the next few years. For those of you who have not played this track you are missing out on a wonderful plantation style course. I consider Willbrook as one of the best values on the Grand Strand. 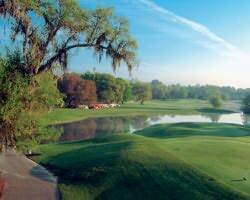 It has beautiful live oaks, lakes, superb landscaping and wonderfully manicured greens, fairways and tees. On your next trip to Myrtle Beach be sure to add Willbrook Plantation to your list. If your looking for a great 36 hole day consider adding River Club or Litchfield, both of which are with-in a few minutes drive.